So we are going to jump right into getting prepared for university life. Some of the tips in the series will help incoming high school seniors only and some will be specifically targetted to incoming college students. All the information, however, is valuable to all groups in answering the Why, How, What, and When questions of getting college ready. Have lots of fun, but don’t forget to have your reading list. Pick some of your favorite genres and some genres you would have never thought to read. This will help you get into the practice of balancing reading for pleasure and reading for knowledge if you have not developed that skill yet. Be sure to set aside time every day or two to read a predetermined set of pages. In college, you are balancing multiple classes with a lot of reading. Some of your reading will be easy and some of it will be heavy depending on how you prepped in High School, e.g: Pre-Ap, Ap, and Dual Credit college classes. There are many factors that can affect your reading comprehension, so please be aware of this. Don’t be afraid to talk to your college advisor about resources available on campus that may assist you. Often times students can get through their primary education without addressing some of these problem areas, but in college not only are you paying for your education, you are building a foundation for your skills and competencies to use later in life. A college will not teach every single detail you need to know. It will open up your worldview and give you more access to materials, but you have to learn how to glean what you need from that information at the time, as well as store other information for later use. Reading is one of the best tools to learn out there. Even video and audio tools often link back to books and literature to further delve into the topic so you won’t be able to fully disengage from it. For World Literature consider tapping this IB reading list. For History try this list or the Rutgers list for some variance. For try Art or this activism based list from The Center for Artistic Activism. Once you have received your class reading list, get a head start! You aren’t reading to memorize all the facts. You are reading to get acquainted with the topics so that you can build your study plan around how hard the material is for you. Once you have your syllabus you will be able to finalize your study schedule for that class. Why does reading ahead help? You probably will be enrolled in fewer classes than you took in high school depending on the curriculum of your school, but you have to study more. When I was in school I studied a minimum of twice the hours that I was enrolled for per week, and that didn’t include classes that I struggled in because I also sought tutors and went to office hours; and that only increased the more concentrated my classes were within my major. Also, college isn’t just for studying. You have to spend time decompressing to reduce your chances of burn out, you may be working as well, plus you have to start making connections which means: student activities and volunteering. You have to make sure you have time for it all, so reading ahead helps you note, what classes really need the heaviest amount of studying you can give it and not be flexible about that amount of time. Check out this post for Binder and home desk basics. This is from last years B2S series, but in college, your teachers don’t always give you a way to stay organized and you don’t have a locker to hold all your materials. My school had some lockers available in the University Center to purchase for the semester, but that was a handful available to thousands of students. Getting your method of keeping your notes, and homework you need to be organized using as little space as you can. Note that using a tablet/laptop/e-reader to get the digital books will help save room (and money) in your room and bag. I personally I had one binder I took to school with me daily or a multi-subject spiral notebook ( based on my classes that semester). Everything I needed for classes that day would be placed in the corresponding tab for the subject. I had a tablet that I used for apps and e-books, also to used it to decompress on my breaks, and then my books that I had to have in hard copy. I had seperate binders for each subject left at home to keep things organized and retyped all my notes, with additions. Don’t forget to buff your reading skills and prepare yourself for study mode. We have already established that college life is different because now college is your life. If you aren’t teaching yourself skills to use, then you will likely become more overwhelmed, and my goal with this series is to help you have ideas to reduce your chances of becoming so overwhelmed you want to give up. You are choosing to go to college. Why are you going? What will you achieve? How do you achieve it? There are a couple of different ways to do this. First, if you have visited the campus you will have a general idea of the layout. Also, check the school’s websites for any changes and go over the map. Once you are there walk around to check out the awesome study and chill spots on campus, aka the least noisy spots with a nice view and an electrical socket nearby. I get it college is expensive so a summer job is a must. I’m going to give you some advice, take a break before Summer crame sessions, internships, Summer classes, and homework over Winter and Spring Break start. This may be your last chance to enjoy who you are before your worldview changes and you will probably look back and miss those last bits of childhood. Yes, Summer is almost over, but that doesn’t mean you can’t use these last few weeks for enjoyment and preparation. 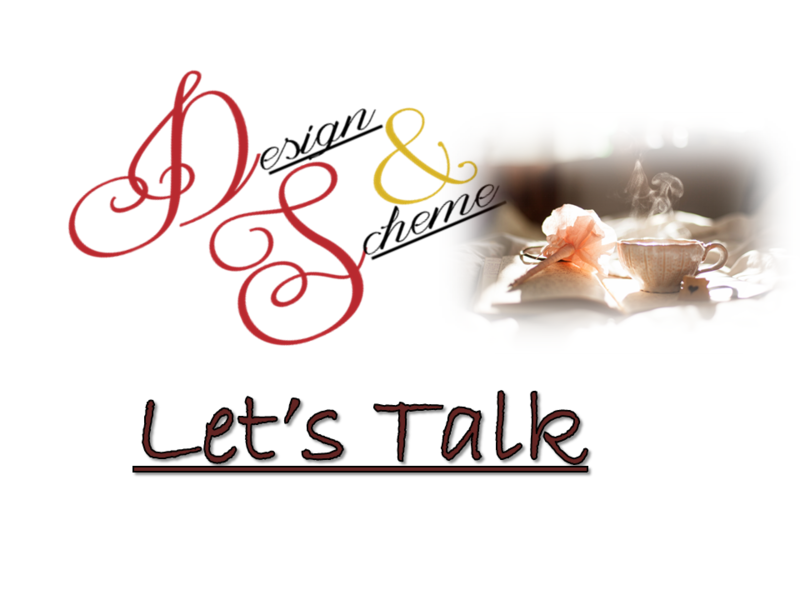 What can Design and Scheme do for you?